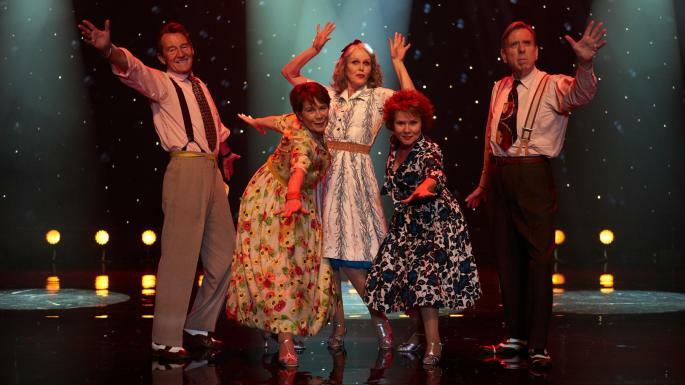 Like a new but familiar song you hear on the radio that you're somehow able to sing along to by the time you've reached the second chorus, Wimbledon director Richard Loncraine's Finding Your Feet is the latest in a long line of life affirming ensemble dramedies that British filmmakers have made with assembly line efficiency since the mid 1990s. 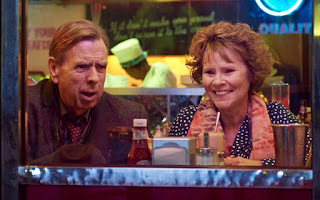 As delightfully warm as it is wistfully bittersweet, as the film begins, Sandra (played by Imelda Staunton) discovers her husband of thirty-five years has been cheating on her with one of her closest friends. Leaving her posh life of tennis tournaments, OBE ceremonies, and garden parties behind, Sandra shows up at the doorstep of her estranged, free-spirited sister Bif (scene stealer Celia Imrie), whom she hasn’t seen in ten years. An active outgoing senior with a wide circle of friends, although she indulges her spoiled sister at first, Bif interrupts Sandra’s pity-party after she sees how much she’s changed. Bringing her to her weekly dance class, Bif tries to shake up Sandra’s snobbish attitude as well as her routine and remind her uptight sister – who used to be a talented dancer in her youth before giving it all up to put her husband first – just how much fun life can be if she moves to her own beat. Unwilling to put some of its strongest character actors out to pasture once they reach a certain age like they do in Hollywood, Finding Your Feet benefits from the chemistry of its veteran performers (including those who've worked together in other projects over the years), particularly as the script from producers Meg Leonard and Nick Moorcroft evolves from a journey of self-discovery into romantic comedy. Finally sharing scenes with Imelda Staunton in this, their sixth filmic pairing, Timothy Spall gives a relatable, moving, and understated performance as one of Bif’s closest friends and classmates, Charlie. Proof that you can’t always rely on first impressions, although Charlie and Sandra get off on the wrong foot, as the film continues and the viewer learns more about Bif’s loyal friend, we discover along with the characters both how much they have in common and just how well the two complement one another both on and off the dance floor. While unfortunately the addition of a love story as well as a predictable, dramatic third act character reveal causes the relationship between the sisters to get shortchanged, Imrie and Staunton still make the most of each scene they share. Using both its talented cast and fun choreography to elevate the material beyond some of the formulaic third act genre requirements which predictably throw a wrench in the proceedings, the film finds its footing nicely in the hands of Loncraine who juggles all of the changes in setting and tone with ease. 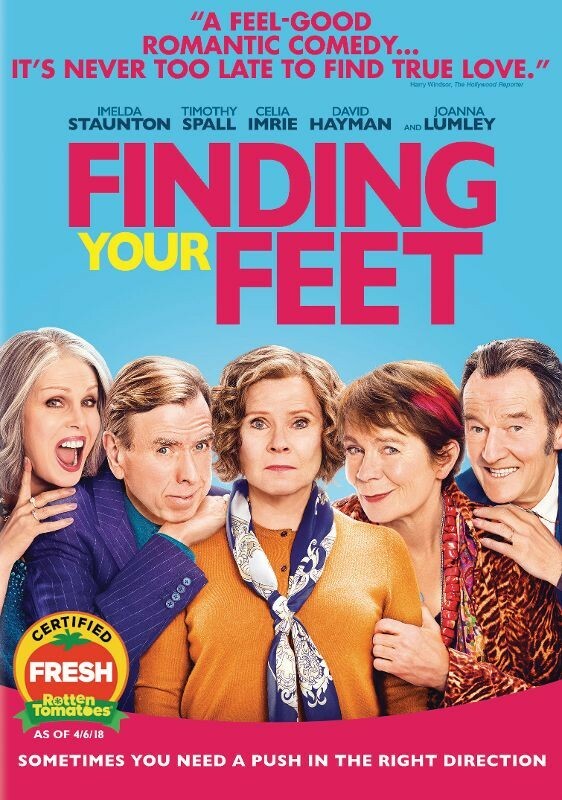 An earnest and heartfelt character driven charmer, like a new but familiar song you can’t wait to sing with, dance to, and share with others, Finding Your Feet is sure to catch on.